We stood at the top of the hill, at the particular bend in the road where we always turned around, pivoted in the mud, and stood rooted in it, our boots sinking in with stubbornness: here is where we will stay. The sun was setting in a rush; already the shadows rose up from the cliff bottoms to the east, and the tops, still sunbathing, faded fast. Only the really big mountain to the south was still clearly hanging on to daylight. It was time to go. If peace were a place, this would be it. Peace, where aspen grow to unbelievable size. 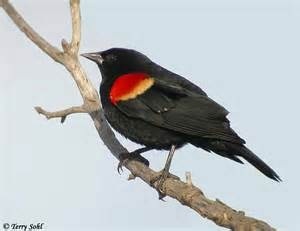 Peace, where red-winged blackbirds, misreading the calendar, sing spring through the snow. Peace, in a snug cabin stocked with board games and popcorn, stuck in another century. In Peace, you have time to pause at the window and notice things. 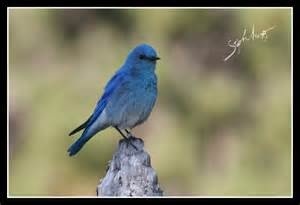 You see a bird, a pretty one, maybe a bluebird, and you think, now what is the point of that bird? It doesn’t contribute anything practical to the world; it just sings a bit, and really, what good is such a small song? And you stand there, idle, with the dishcloth just dangling, and listen, and it is so quiet that that bird is all that you hear, that flash of sapphire against the snow is all that you see, and you wonder what kind of logic rules a world where singing sapphires flit through the trees going their happy-go-lucky way for no practical purpose. And then you are thinking about who would dream up such a world, full of flashes of beauty and grace, but where, time to time, one of those same bright birds crashes into a window and dies, and who would notice? And you are thinking deep theological thoughts, all because it was quiet and still, and you were paying just a tiny bit of attention. I like Peace. I was not in favor of leaving. And so I stood in the twilight, begging the day to rewind, willing time to stretch out long and lazy like a cat. And it began to dawn on me that if Peace is a place, I would be leaving the next day, heading back down the mountain to the rushing world below. Nothing would be any different there — sirens and miscreants, hurry and worry, jangle and rattle and hum. But if I were different somehow, still, listening — if I could manage to pay a tiny bit of attention, maybe I would spot the city bluebirds. Maybe, if Peace is a person, Peace could come home with me. We are back in civilization, en route to another cottage on the other end of the world, where my husband will study for a short season. We drove through a minor blizzard on a long and tipsy highway, clutching the wheel and breathing deep. We added two hours to our trip via a not-optional detour — the pass was closed — arriving tired and frazzled. Back in the world of tv and internet, we learned immediately of the Boston marathon debacle. We are going to Boston. I wanted to turn around, back through the blizzard, back to my happy place. But Peace was with me, and (no doubt with a longsuffering sigh) patted my hand in an easy there way. Find quiet. Be still. Pay attention. Slow down. Choose light. Peace. Catherine, you are a philosopher! A lovely commentary. Thankfully, there are still places where we can experience such peace, but most never find them.